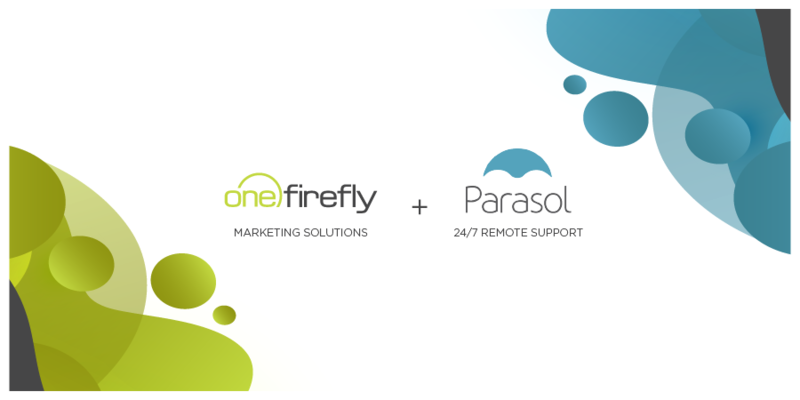 The landing page & subscription solution will be available to current One Firefly clients as an easy upgrade while Parasol dealers who don’t otherwise work with One Firefly can leverage the new tools a la carte with a separate subscription. Parasol’s dealers are excited about the new offering as well. “We’re so busy, it’s hard to make time for new initiatives and having the One Firefly landing page & e-commerce offering is a huge timesaver,” said Jimmy Roy, CEO of Electronics Professionals. Parasol is the fastest growing 24/7 remote support company in the United States with offices in Las Vegas, Nevada and Richmond, Virginia. One Firefly, LLC is an award-winning marketing agency that caters to technology professionals in the custom integration, security and solar energy markets. One Firefly is headquartered in Davie, Florida with staff located throughout North America and has been operating since 2007. Learn more by visiting onefirefly.com.